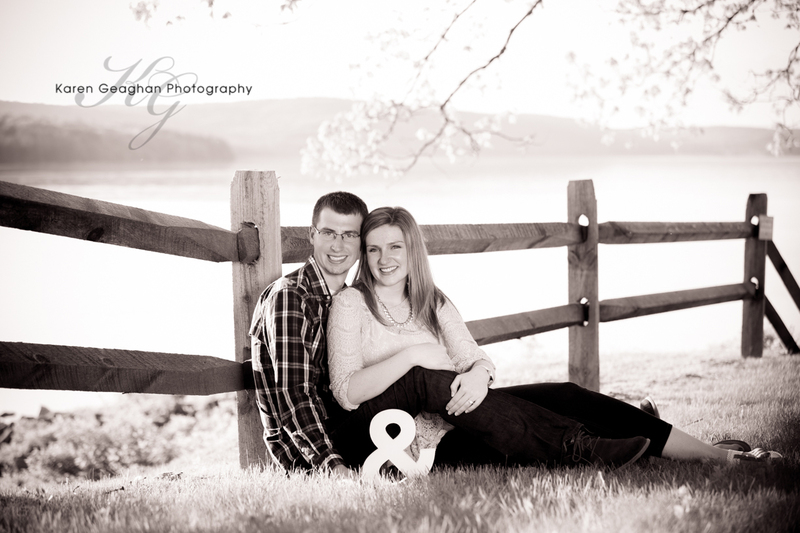 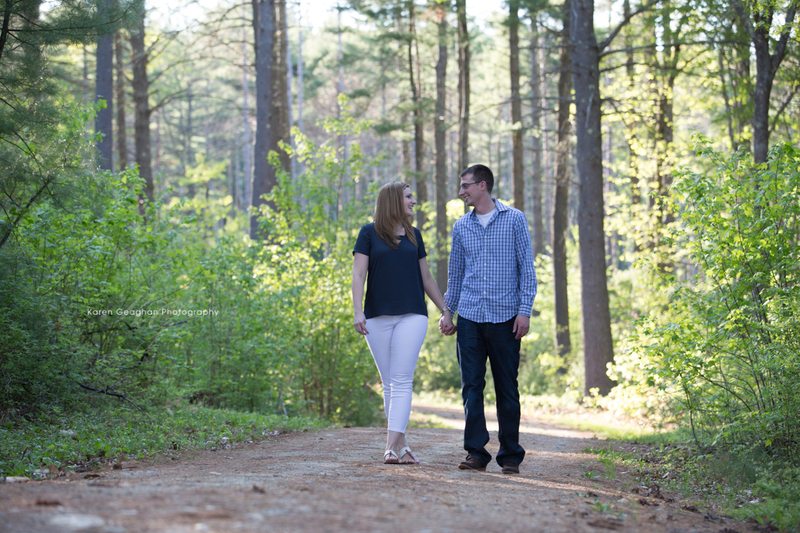 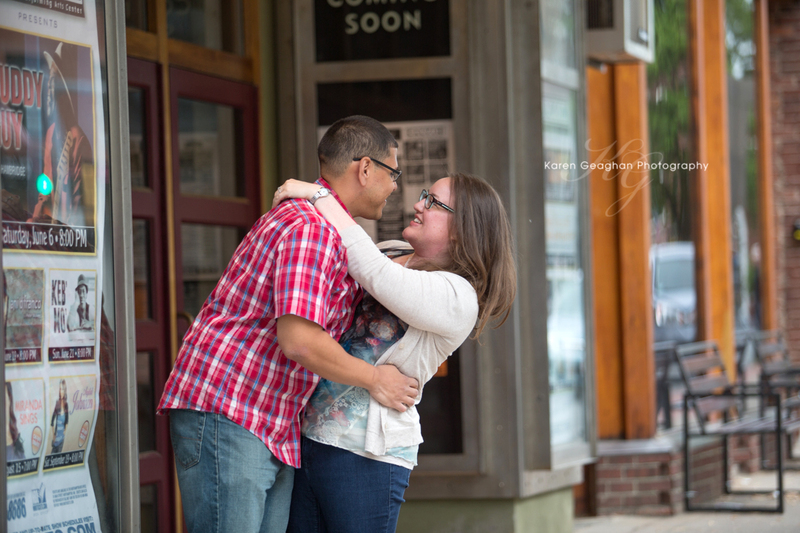 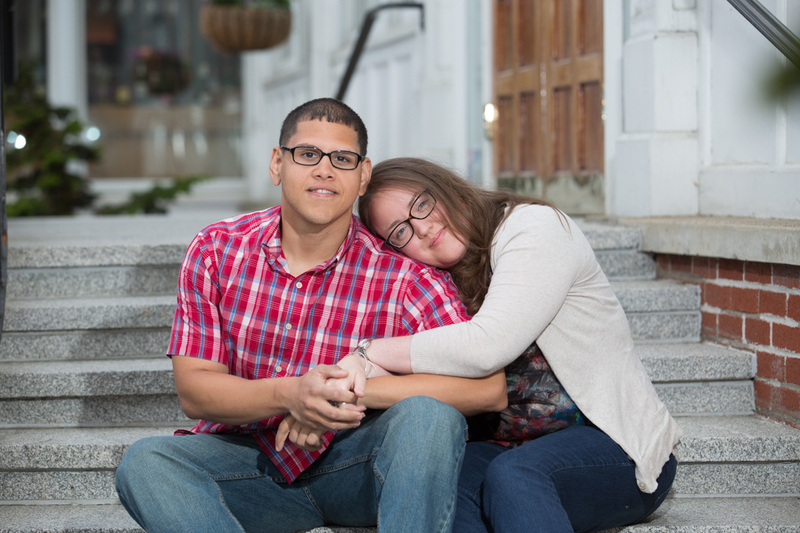 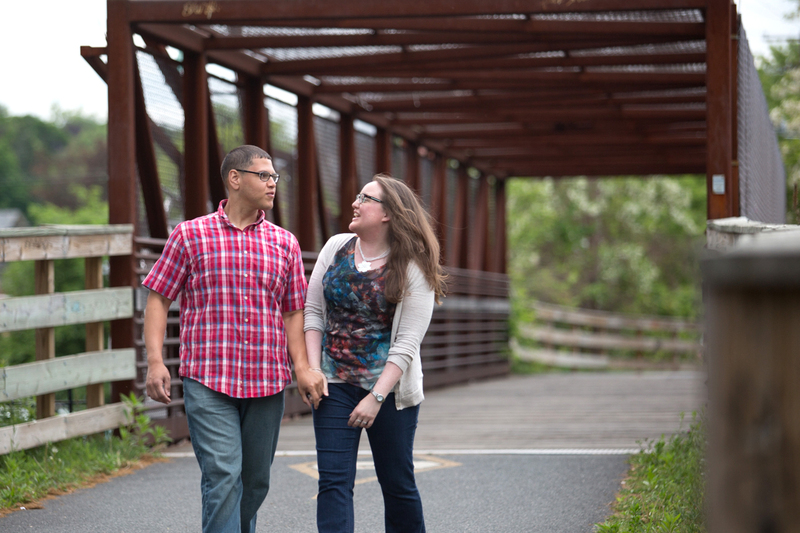 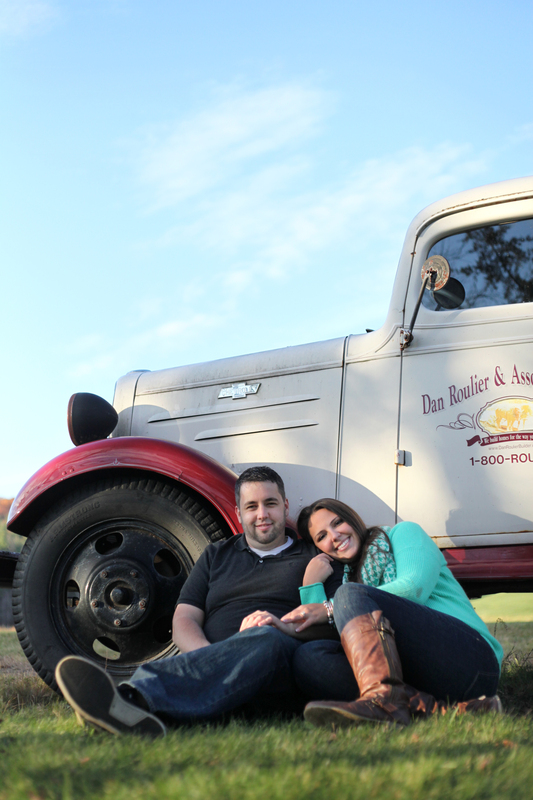 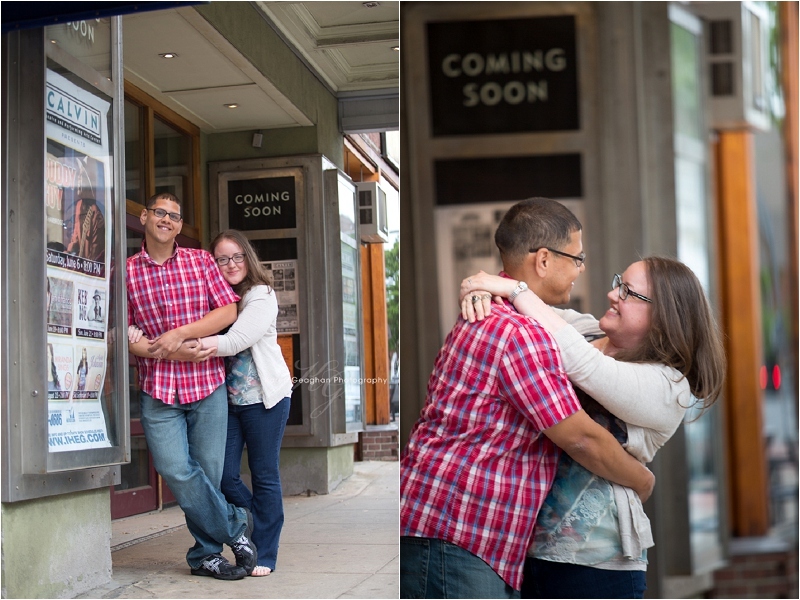 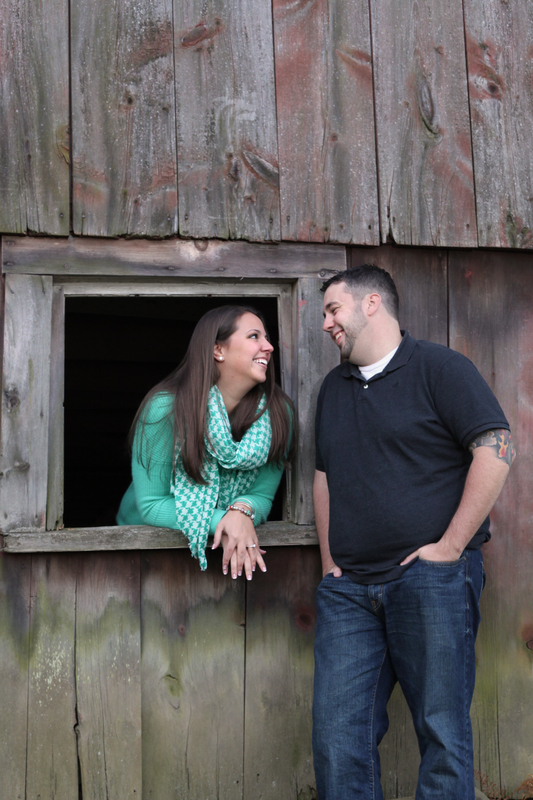 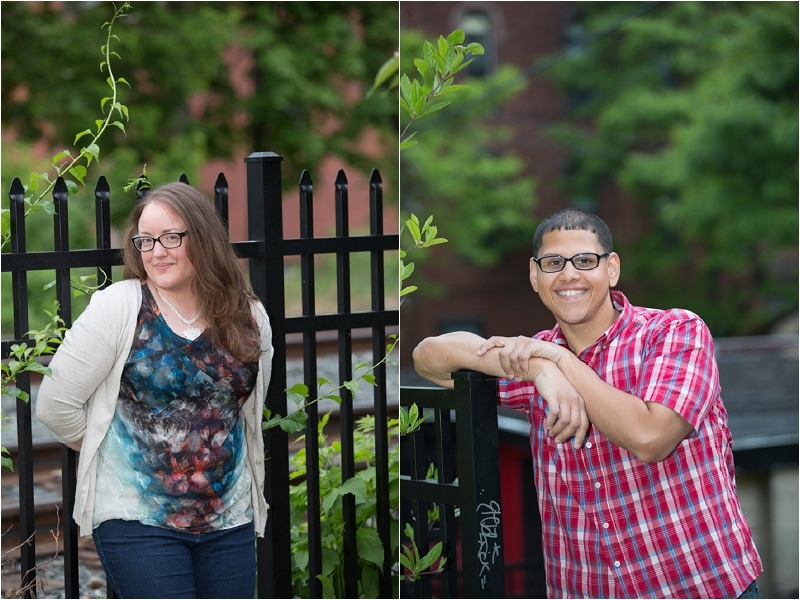 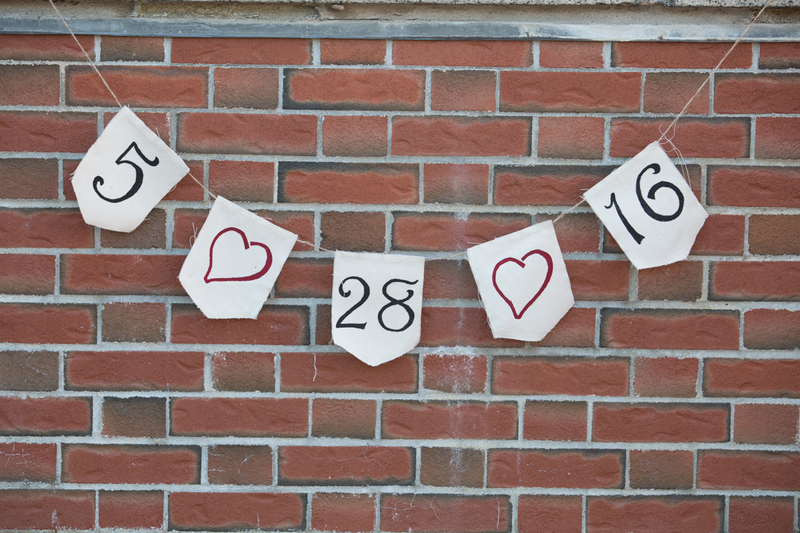 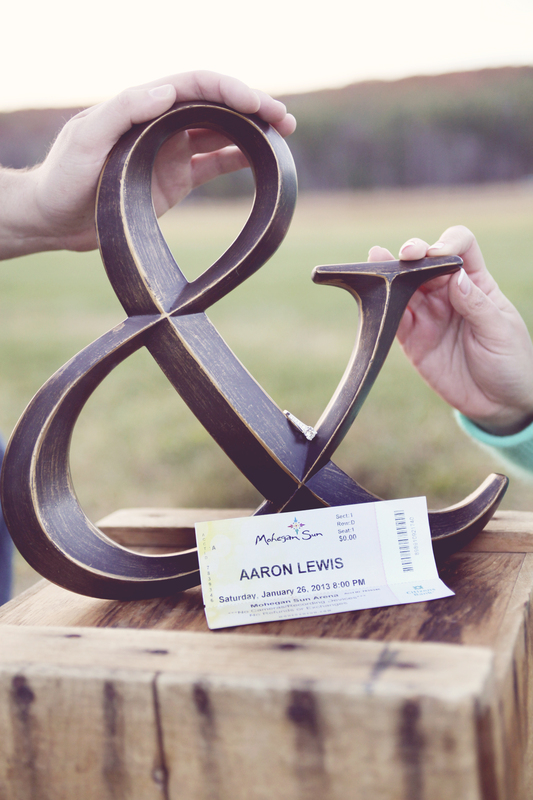 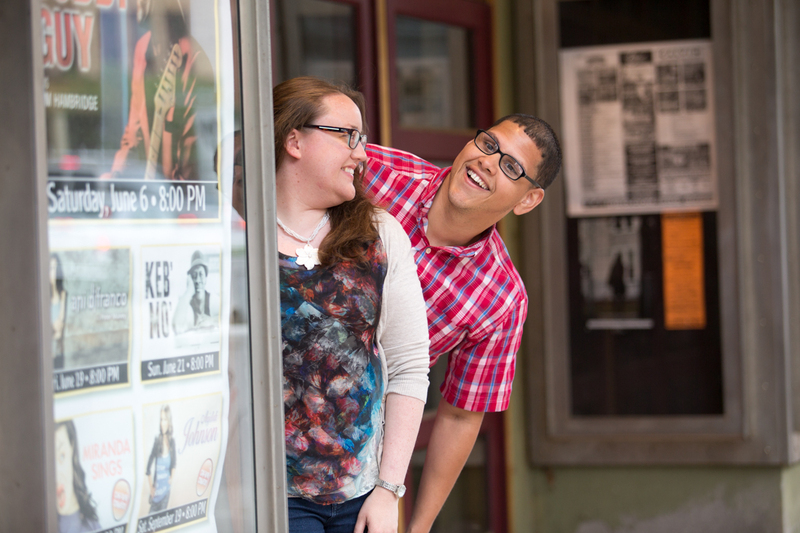 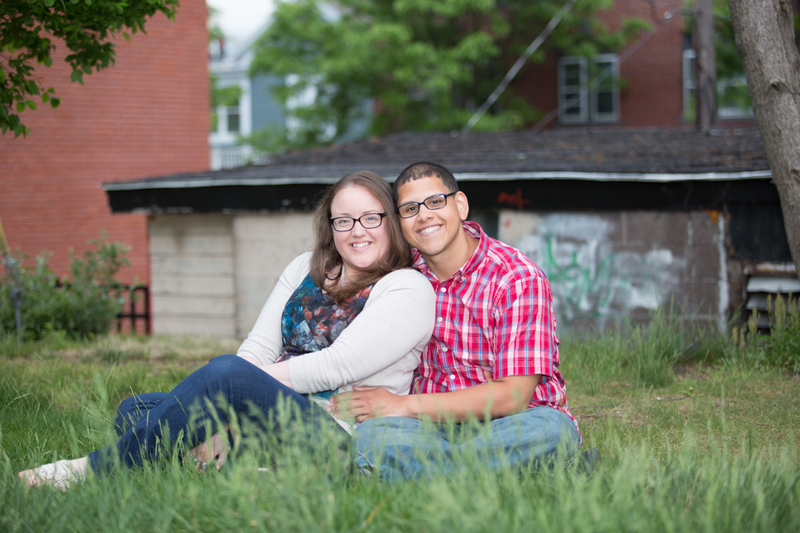 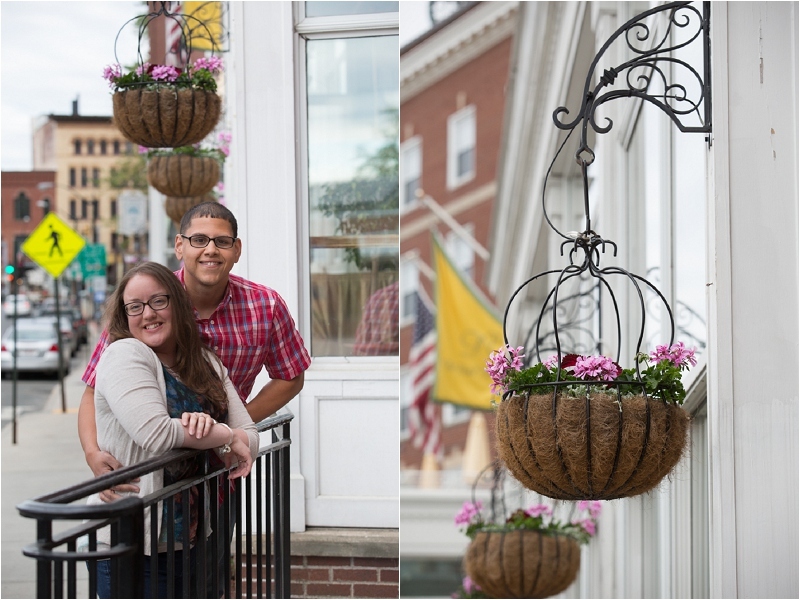 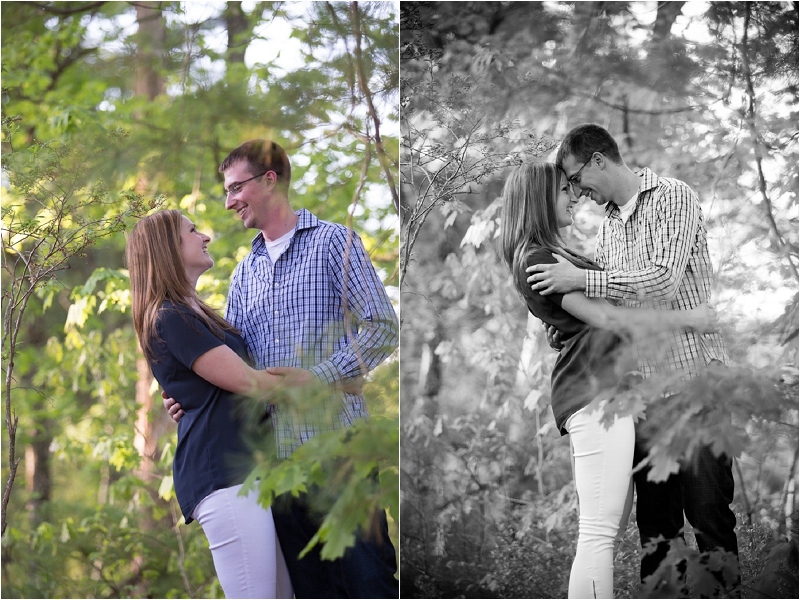 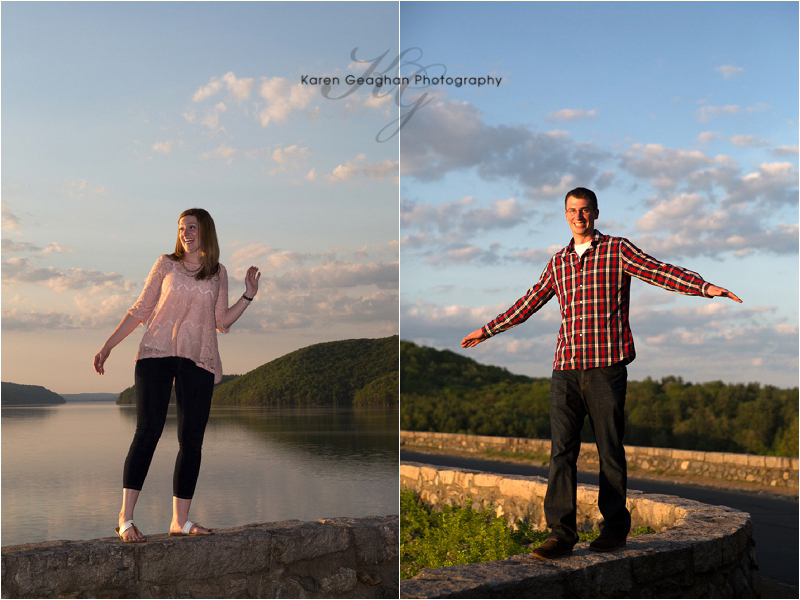 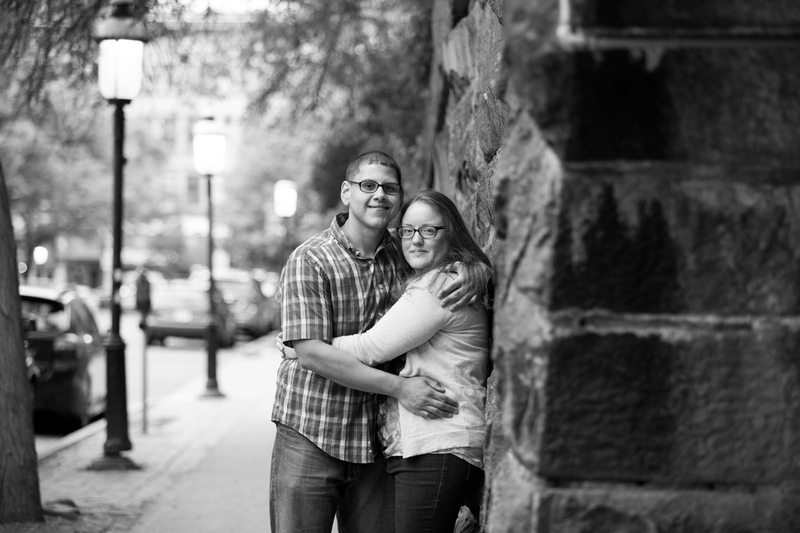 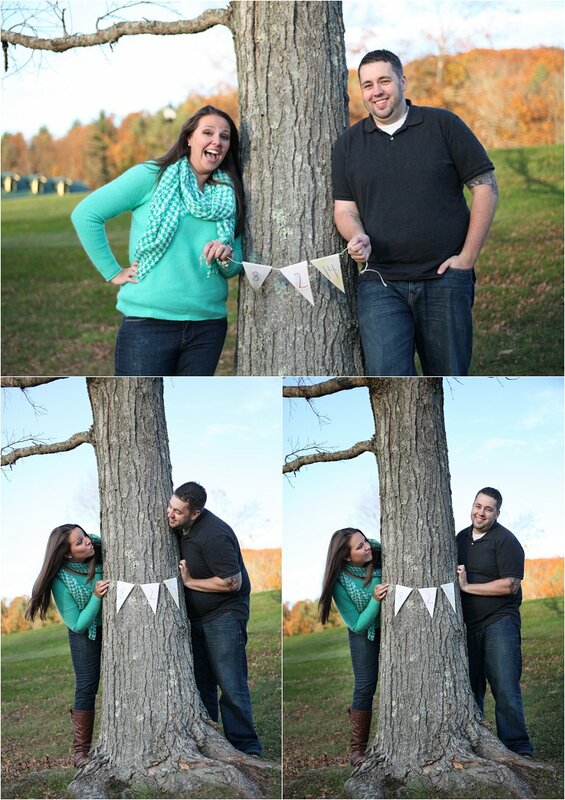 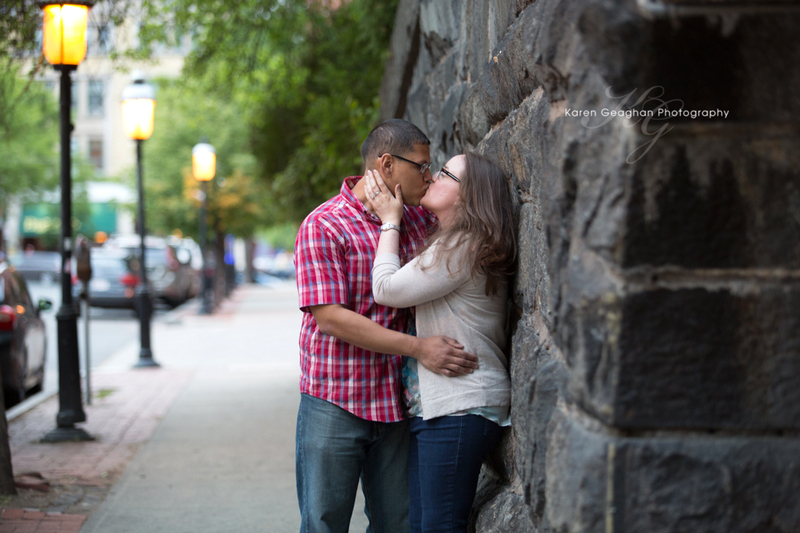 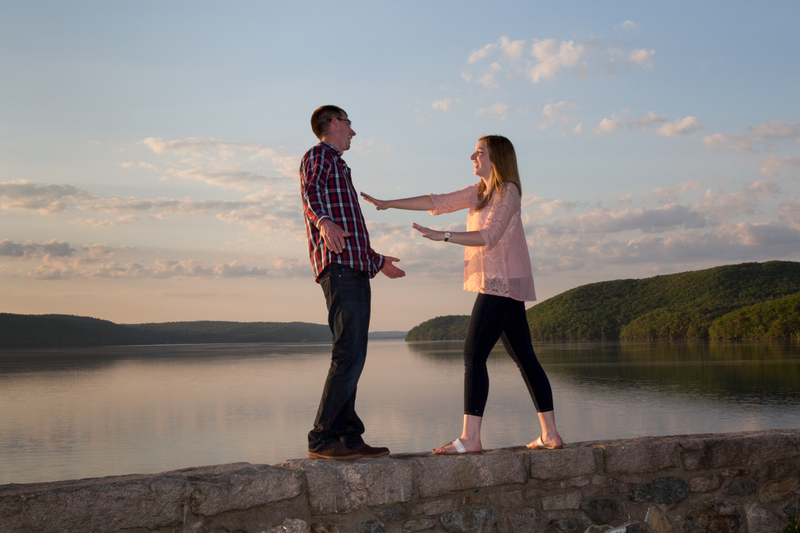 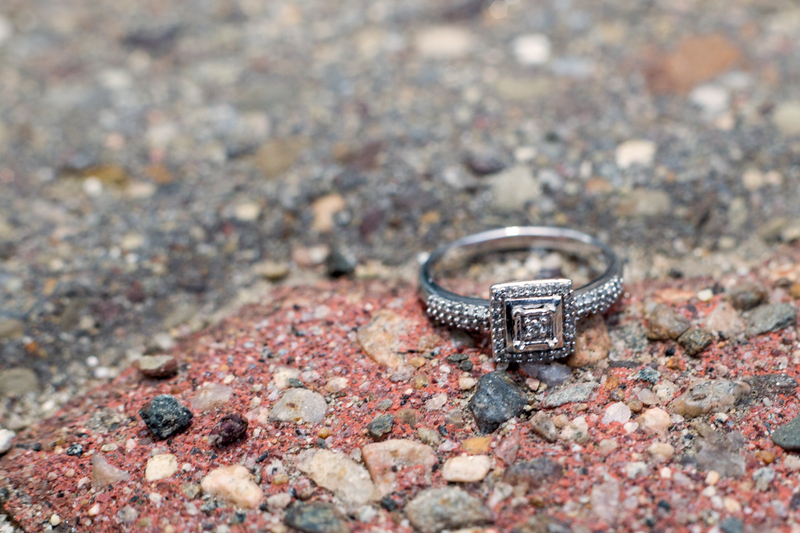 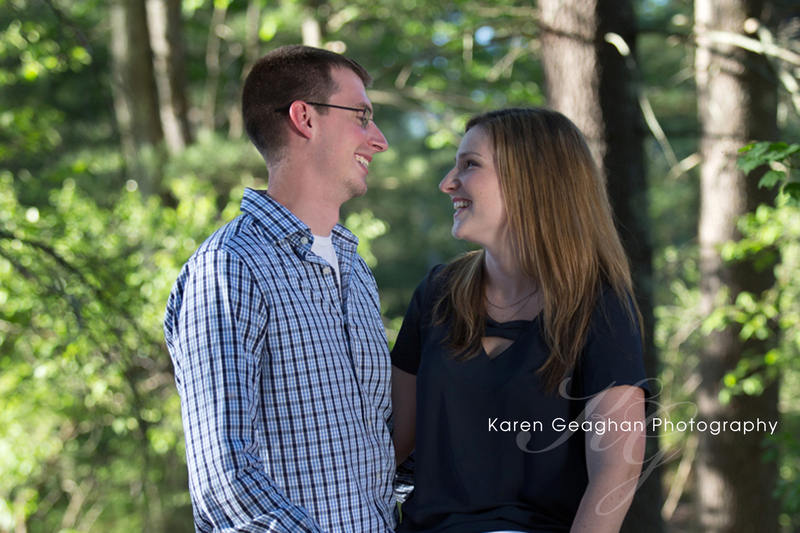 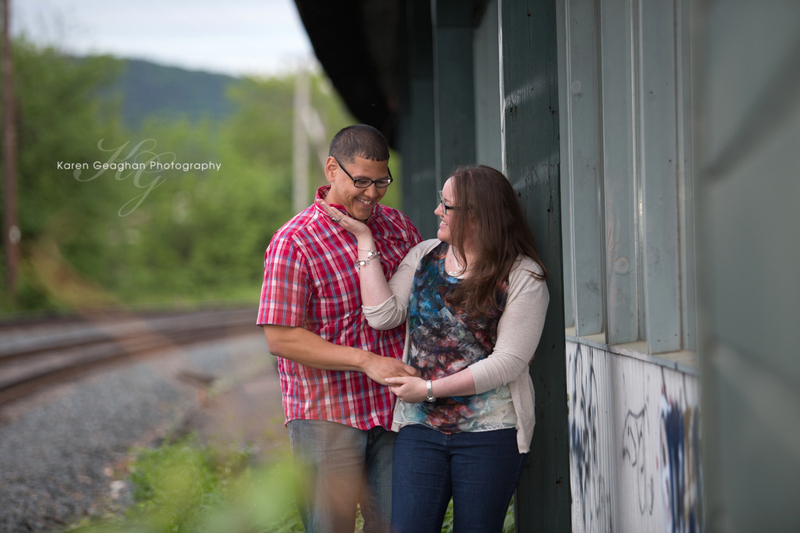 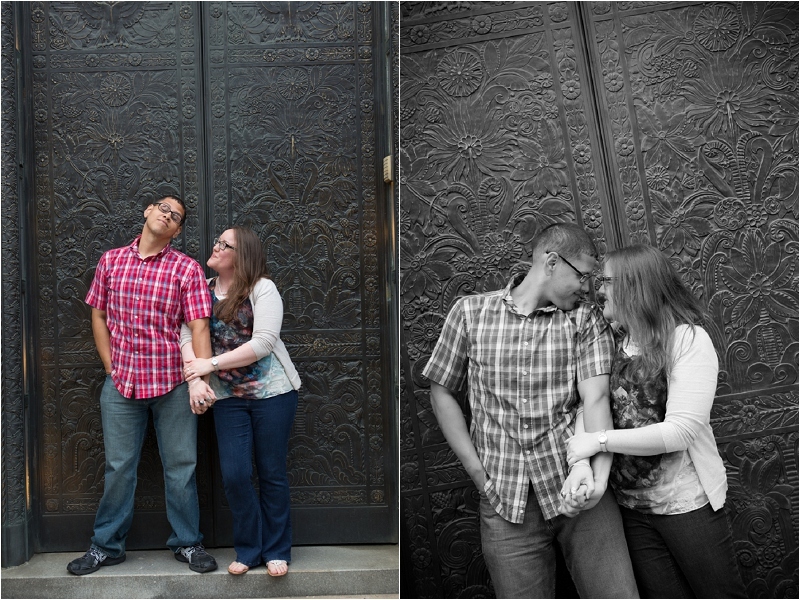 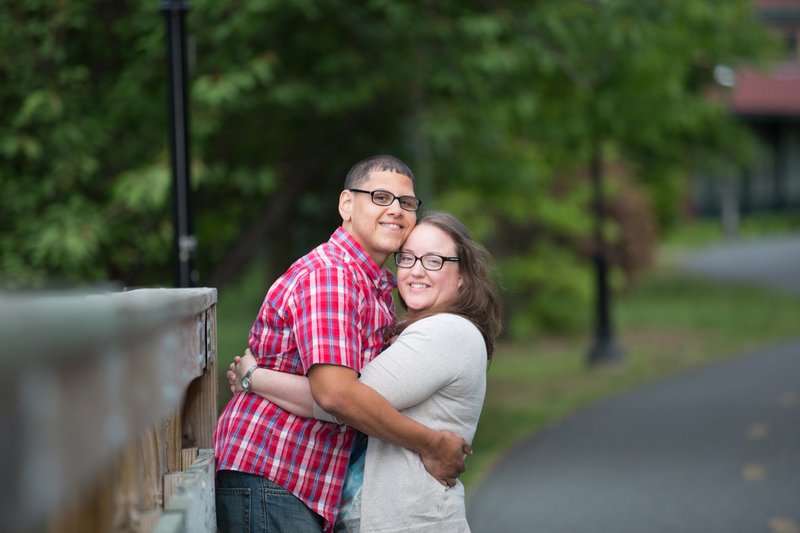 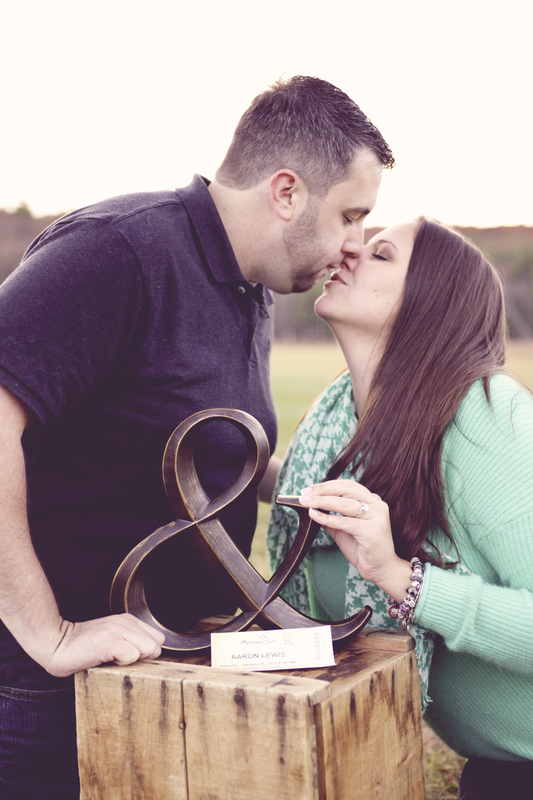 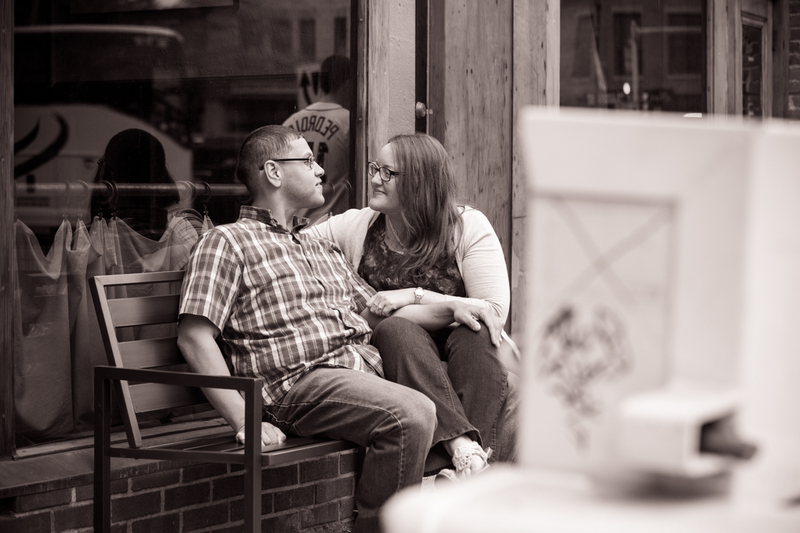 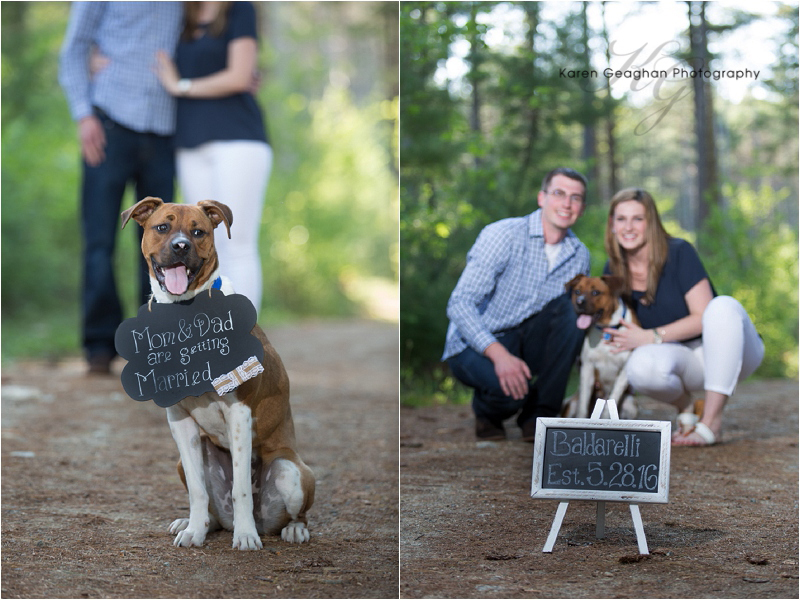 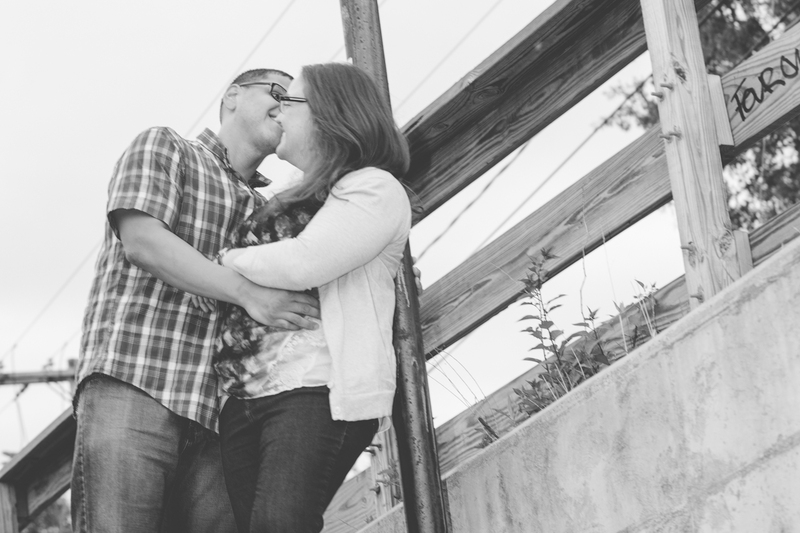 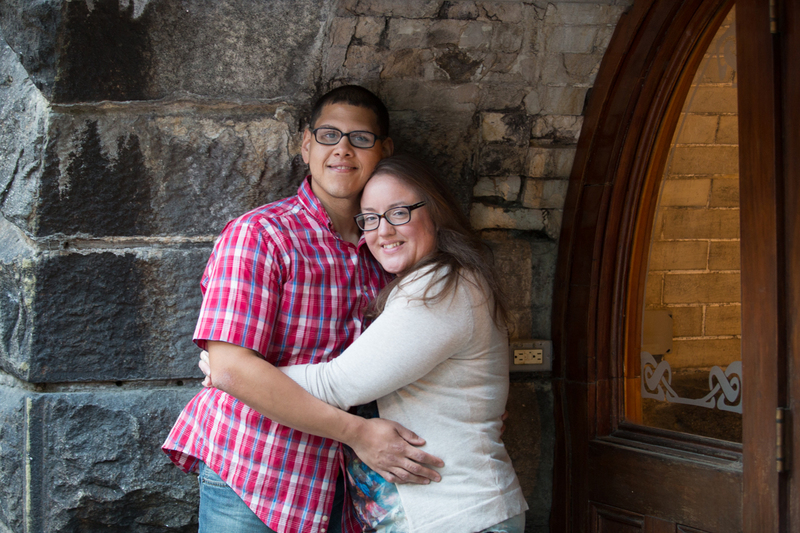 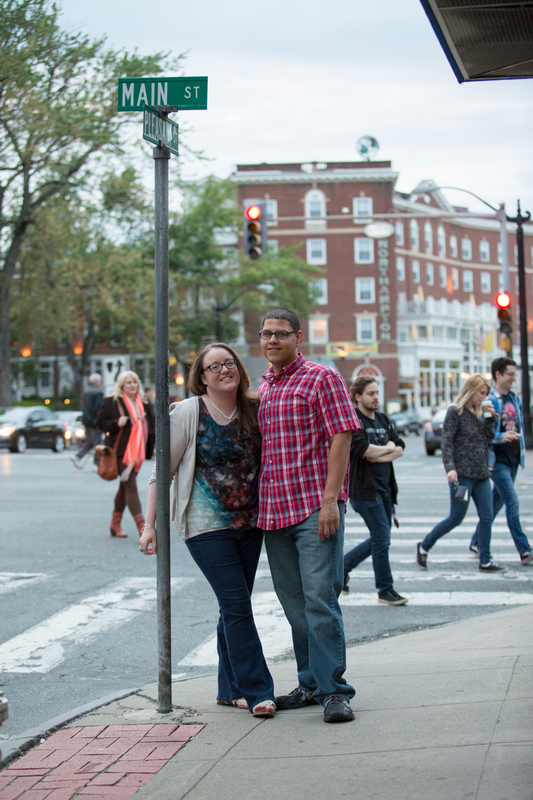 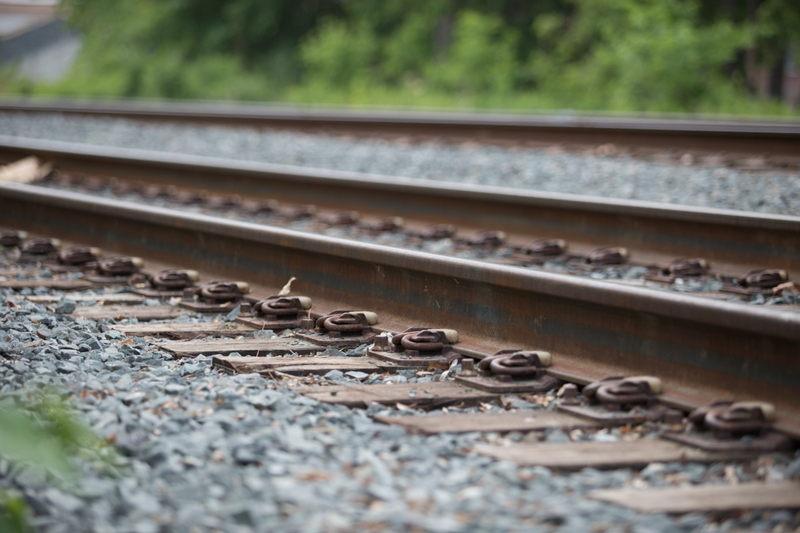 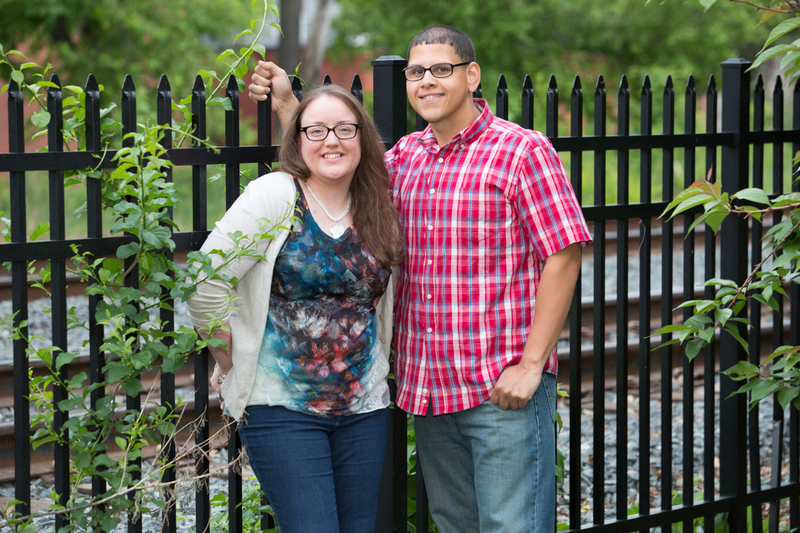 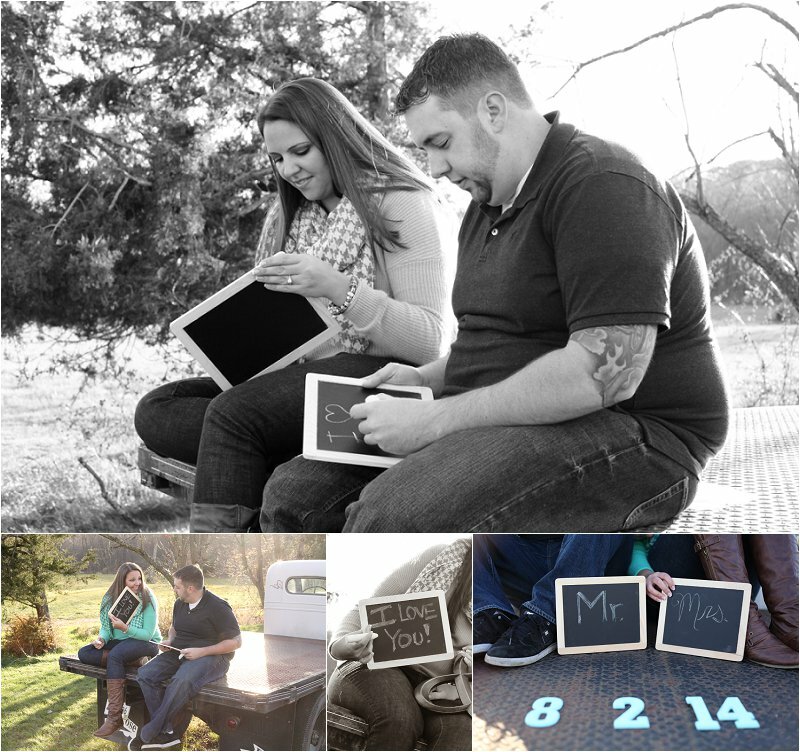 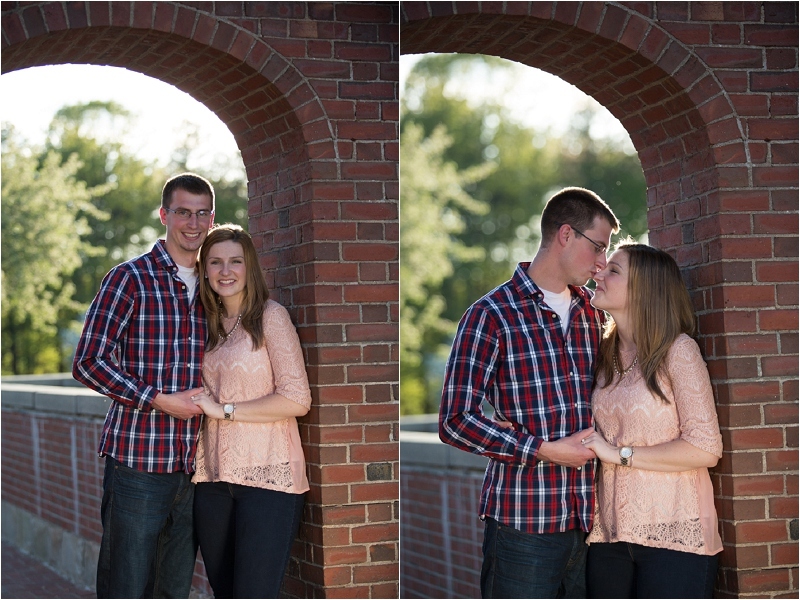 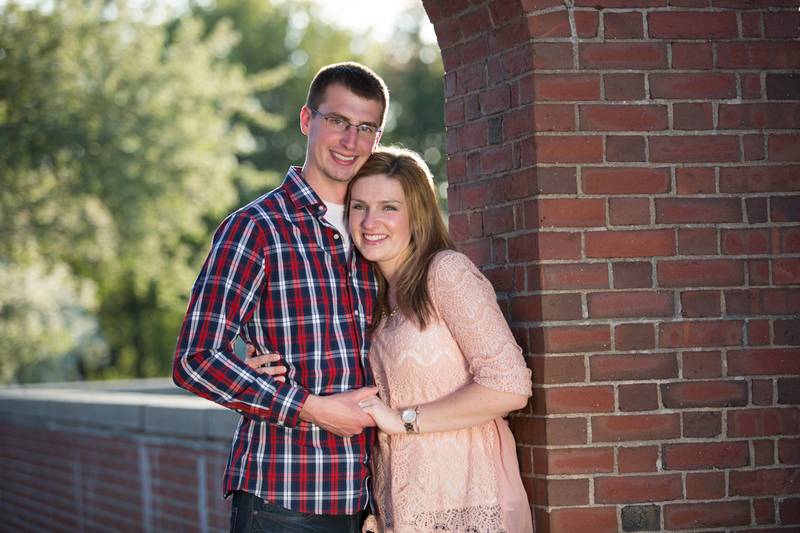 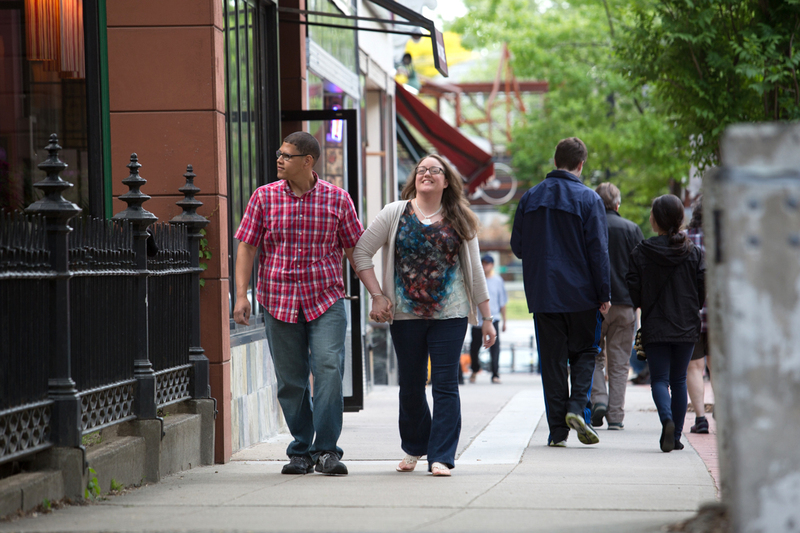 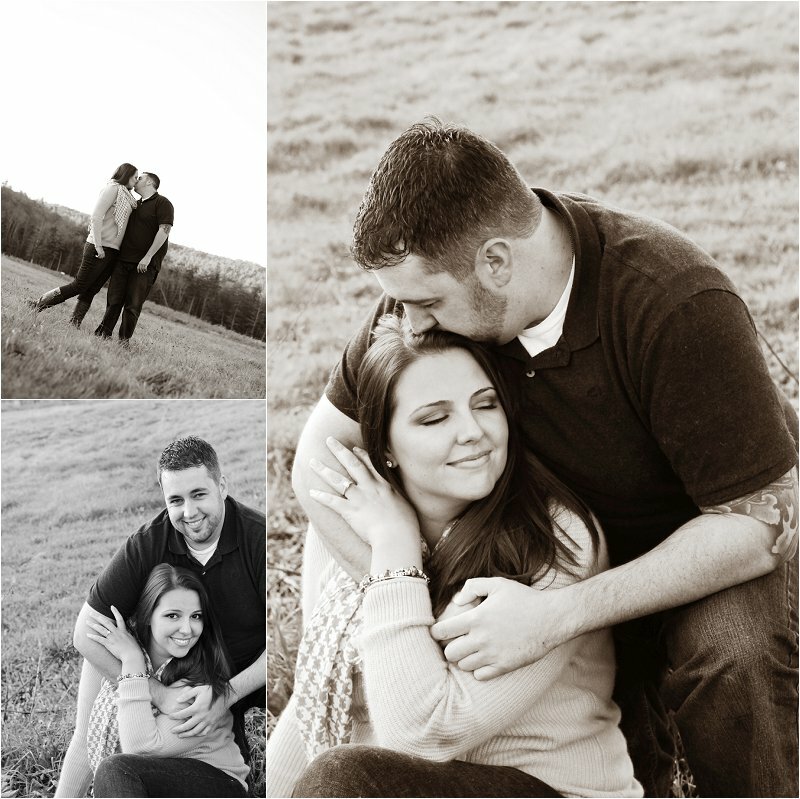 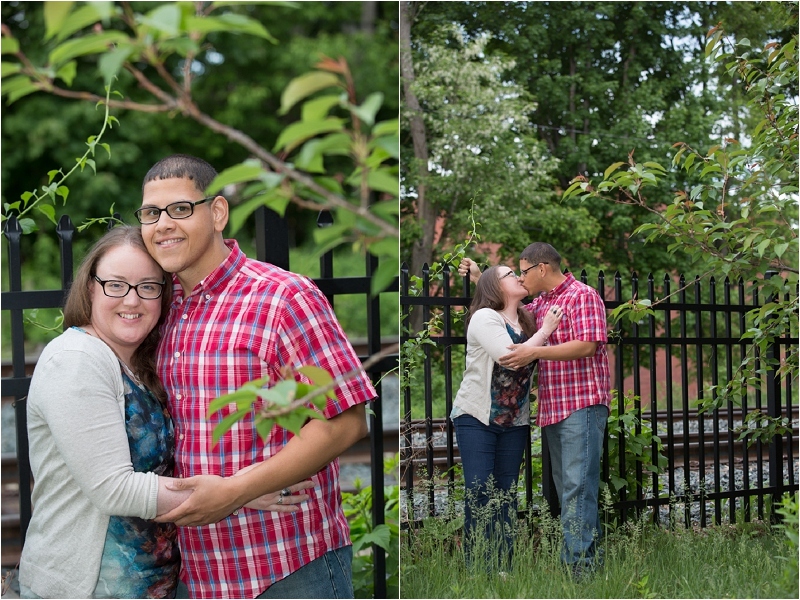 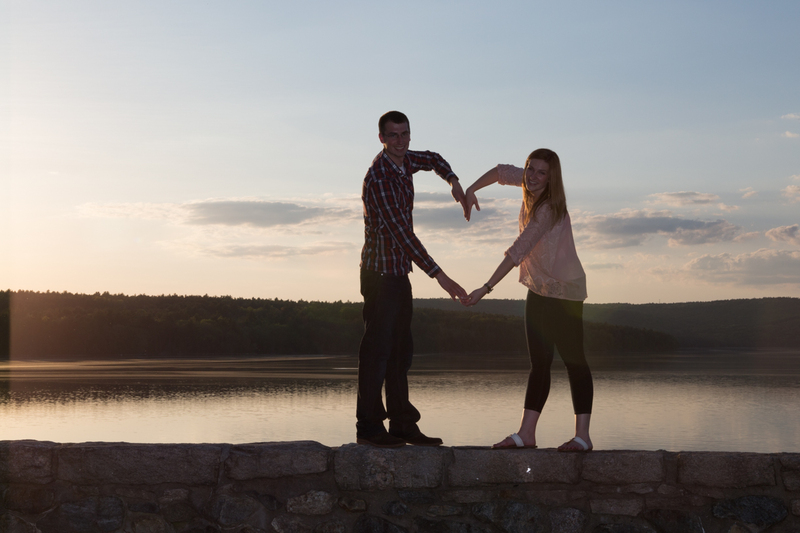 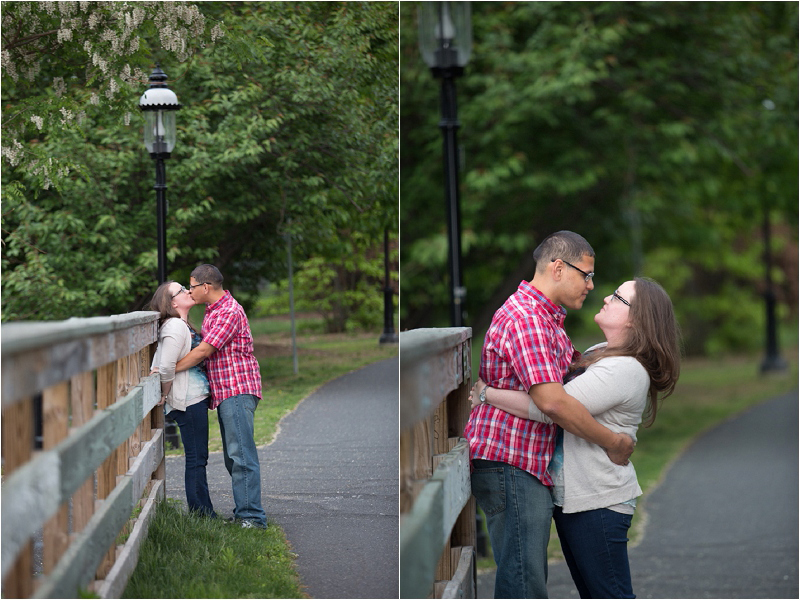 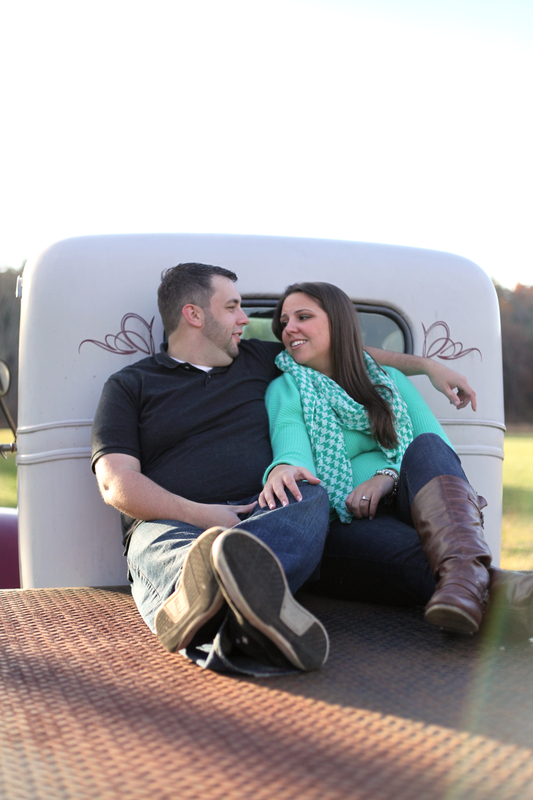 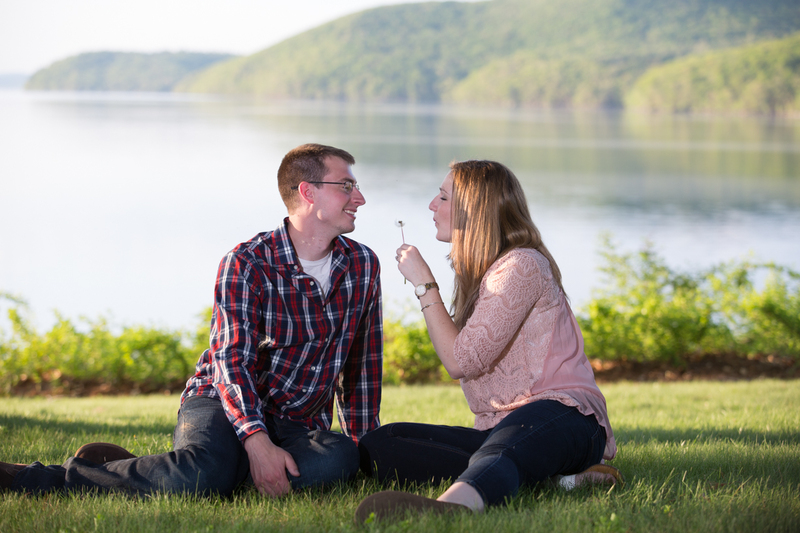 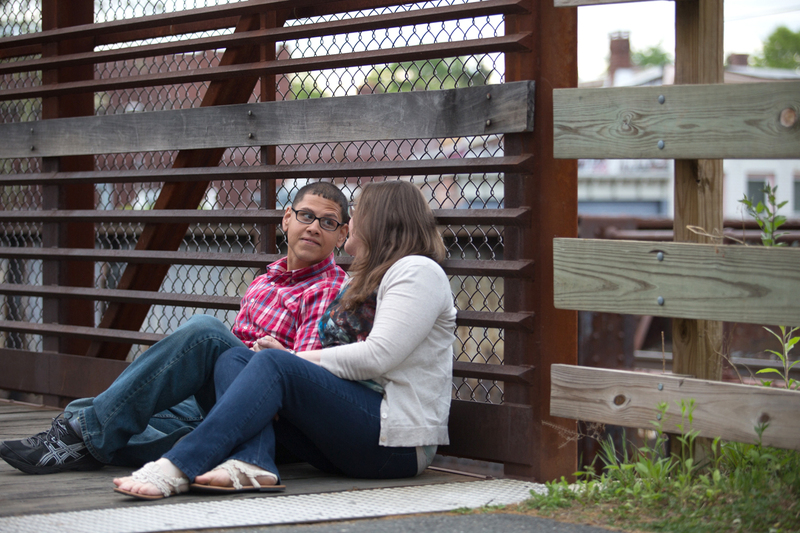 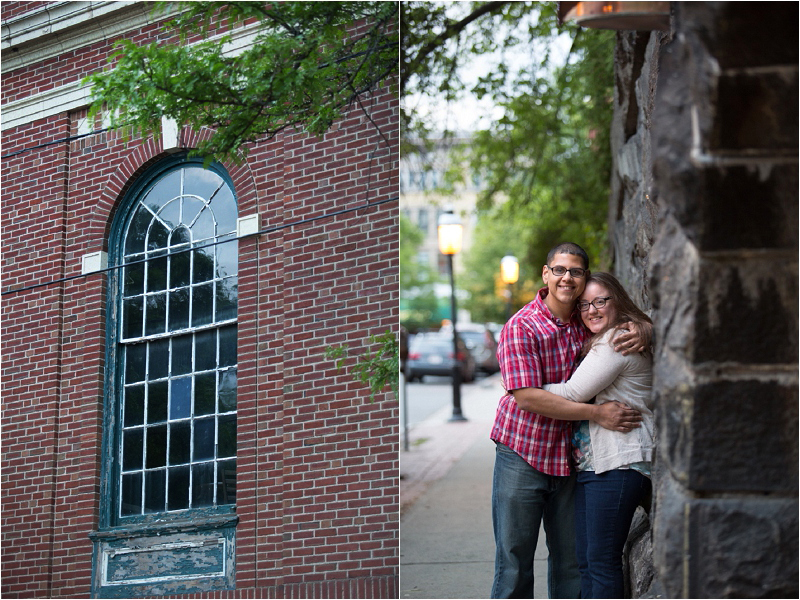 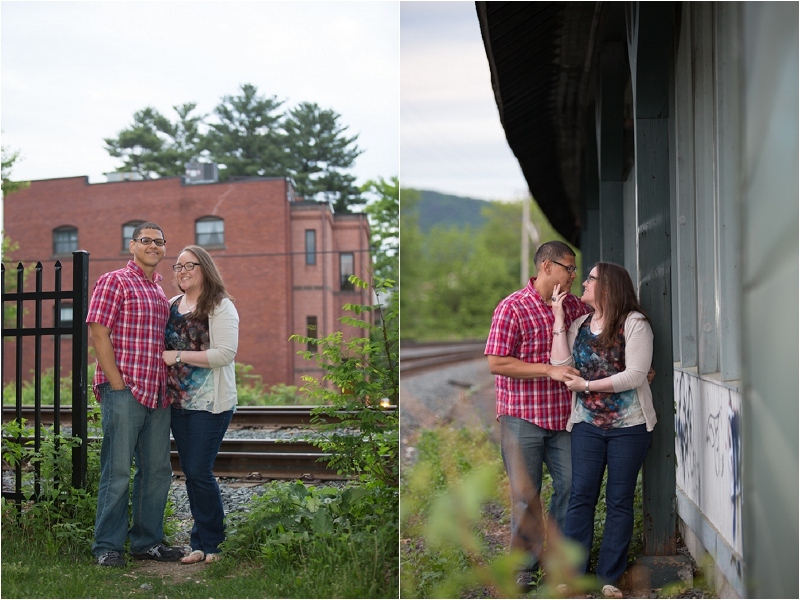 It was a lovely Fall in Western MA when Andrea & Jeff scheduled their engagement session. 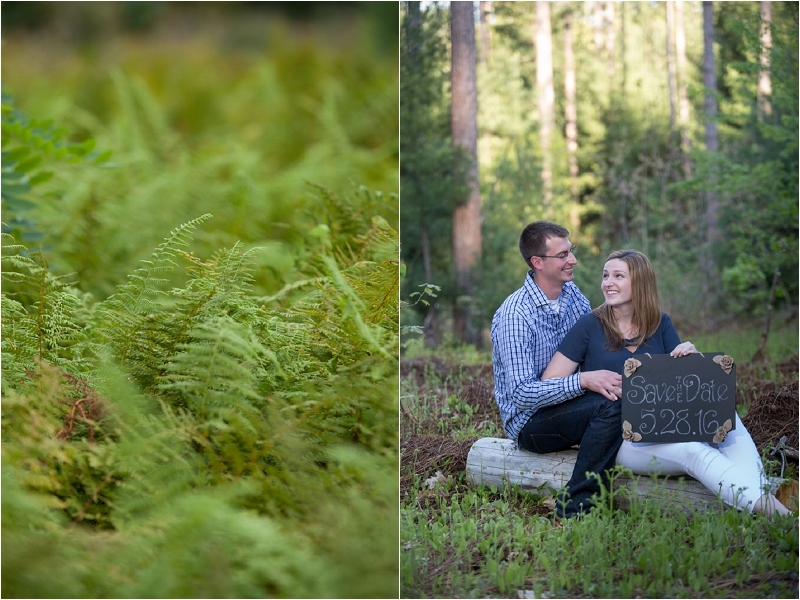 We were hoping to catch the end of this particularly beautiful foliage year and ventured a bit south in the hopes of doing so. 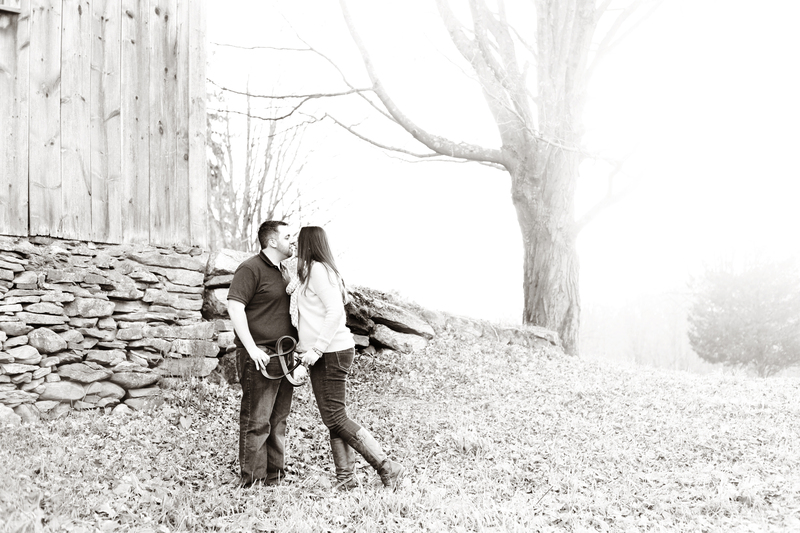 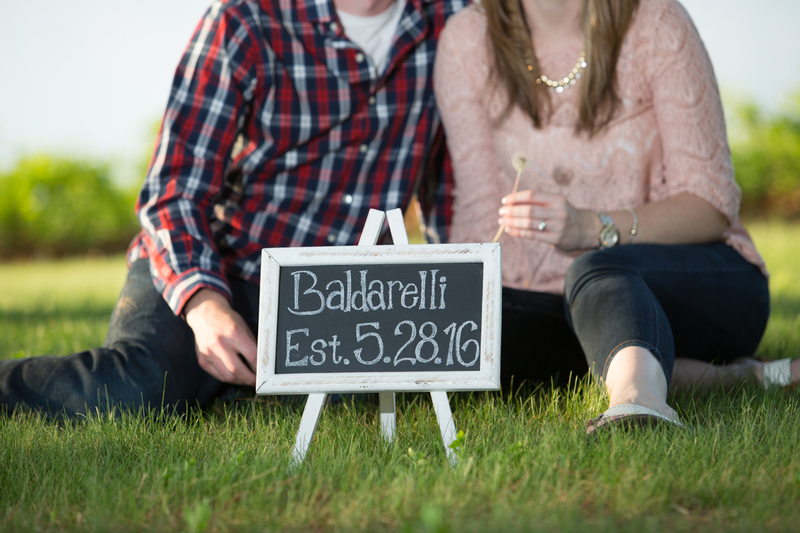 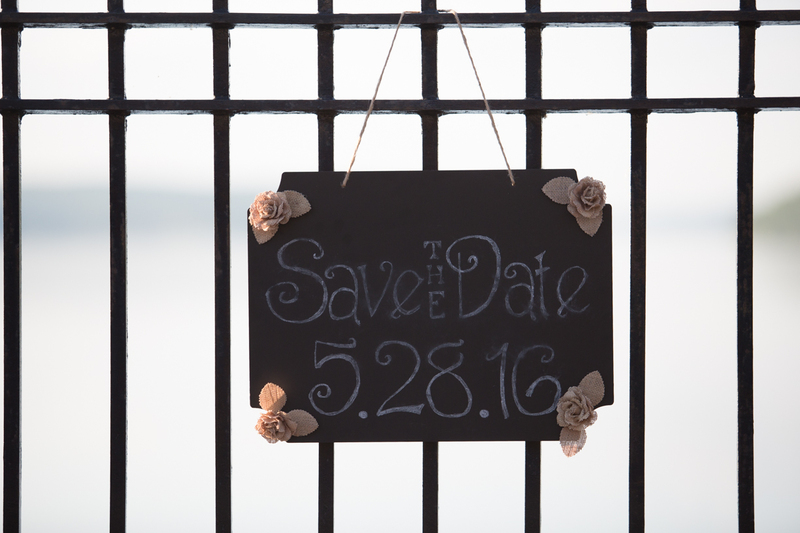 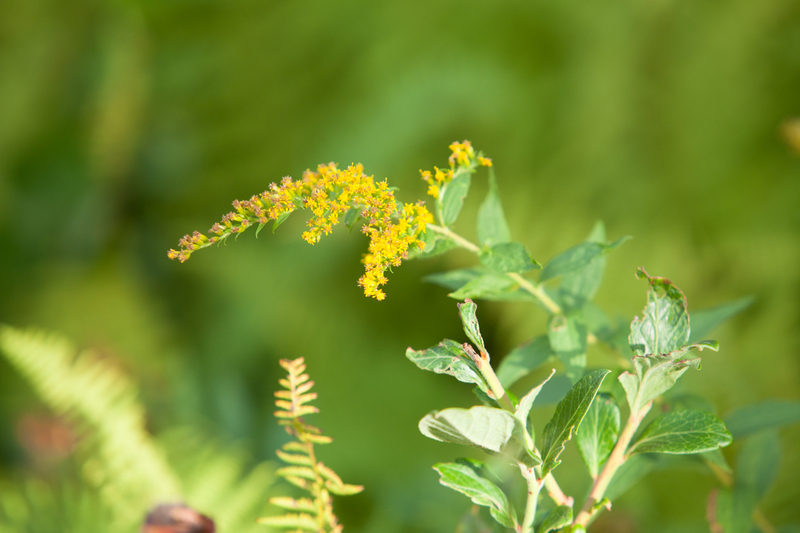 We scheduled our session at Worthington Pond Farm & Garden in Somers, CT. 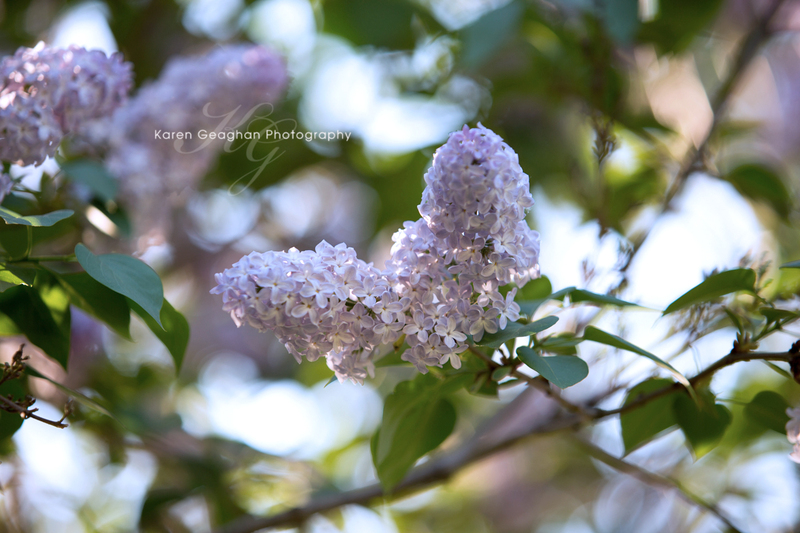 I have worked on this property on numerous occasions and just adore the beautiful flowers, fields, barns, bridges and yes, the old fashion truck that everyone seems to love. 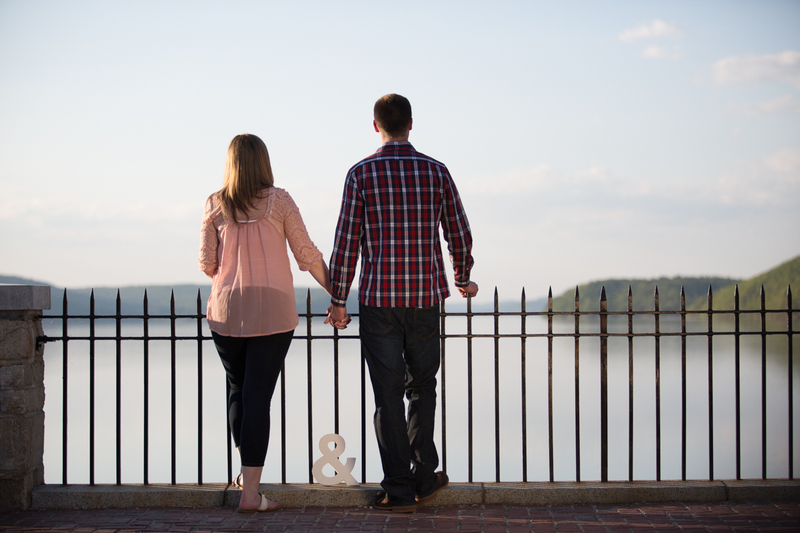 It was a fine warm day when we arrived! 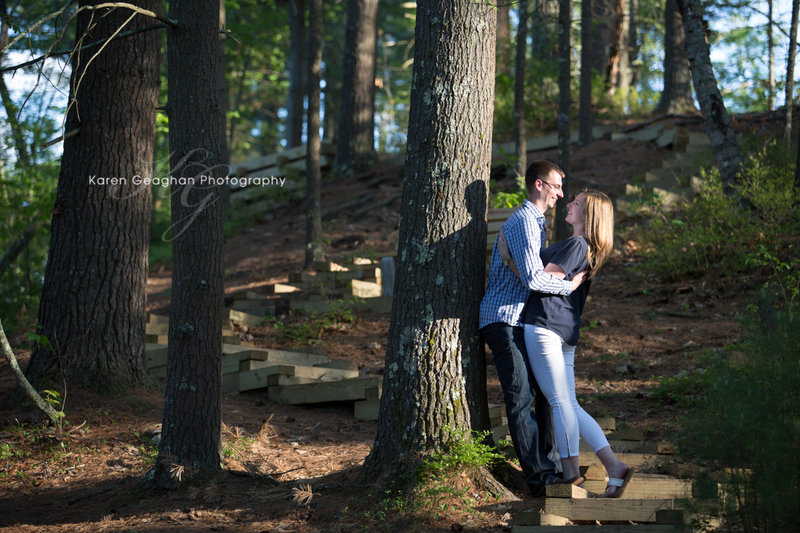 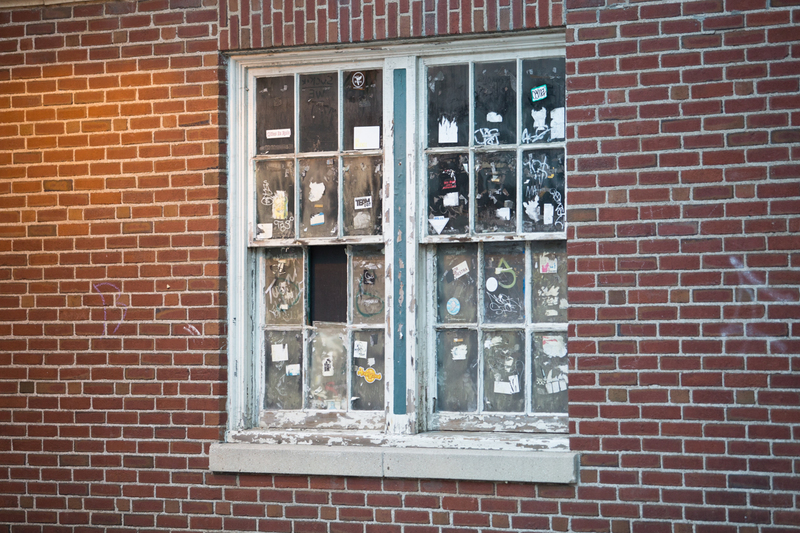 Unfortunately the color had passed and all the leaves had been removed from the property. 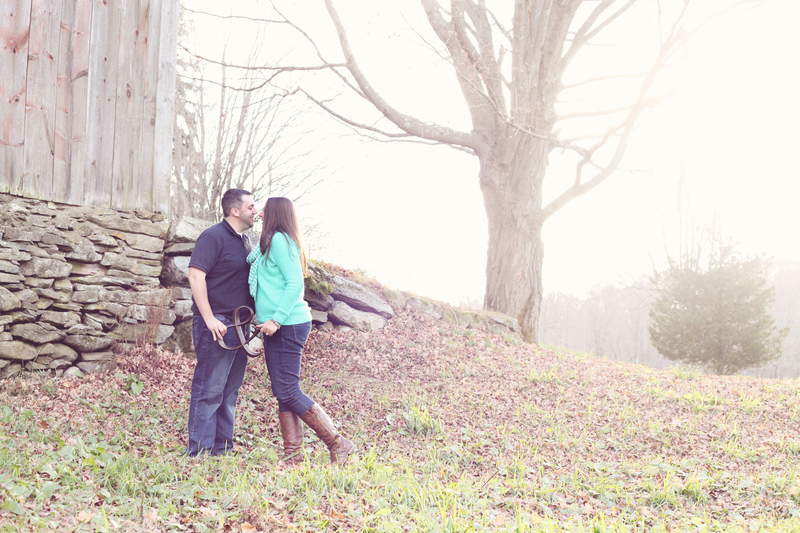 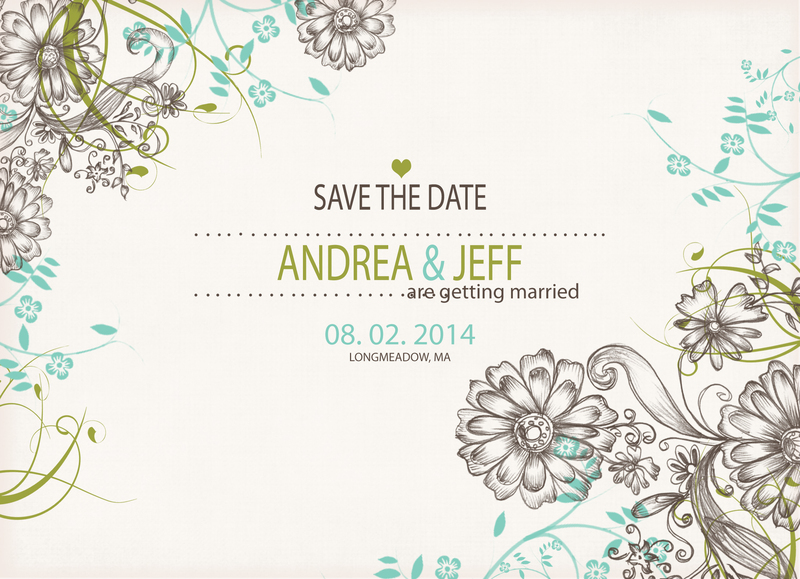 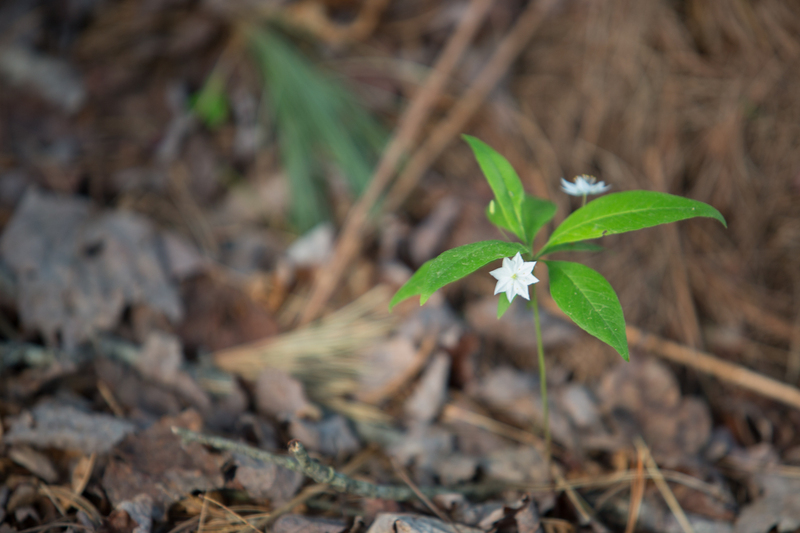 The property was still beautiful with its rustic charm and beautiful meadows. 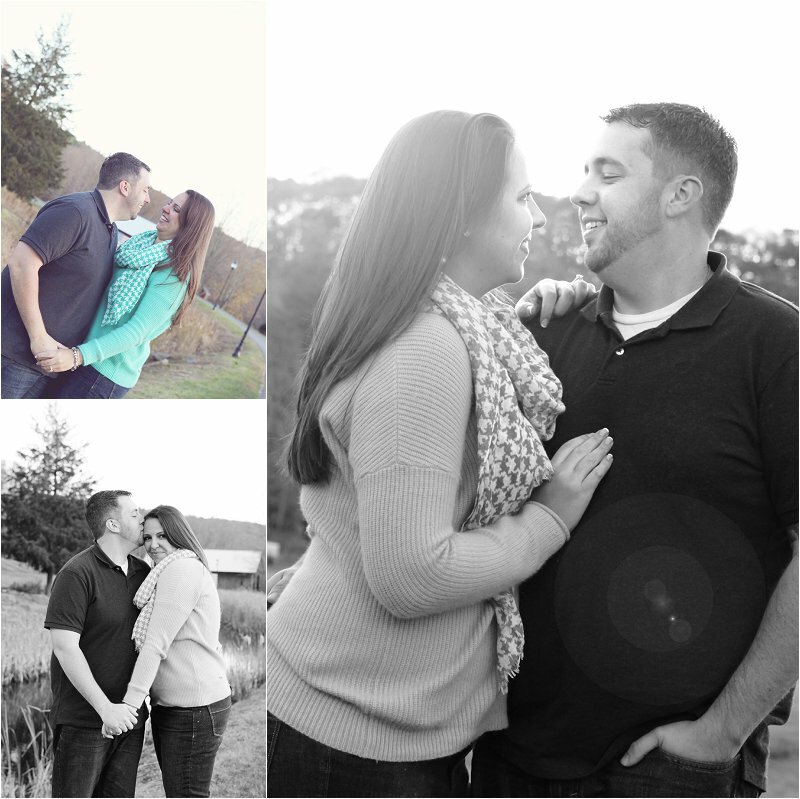 So many places to chose from to highlight this couples love for each other. 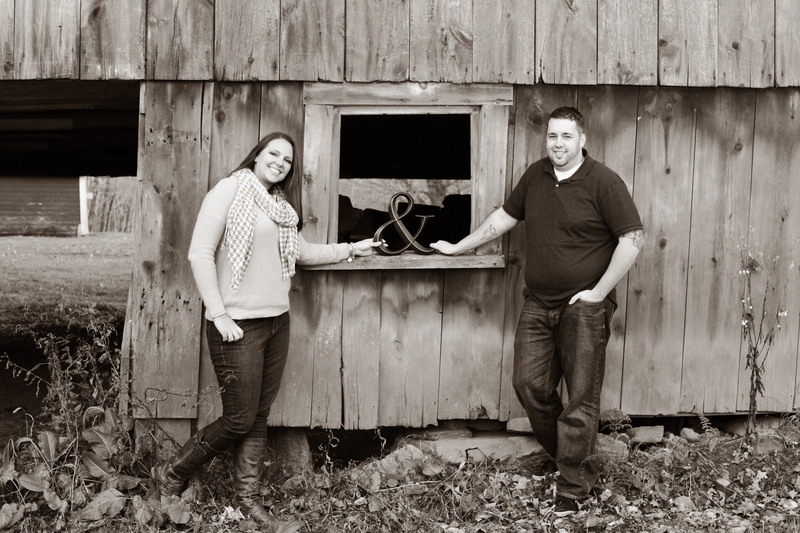 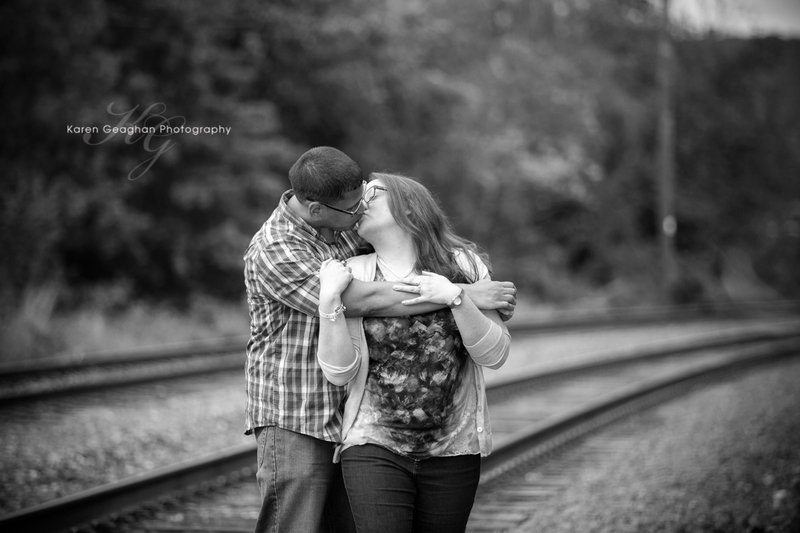 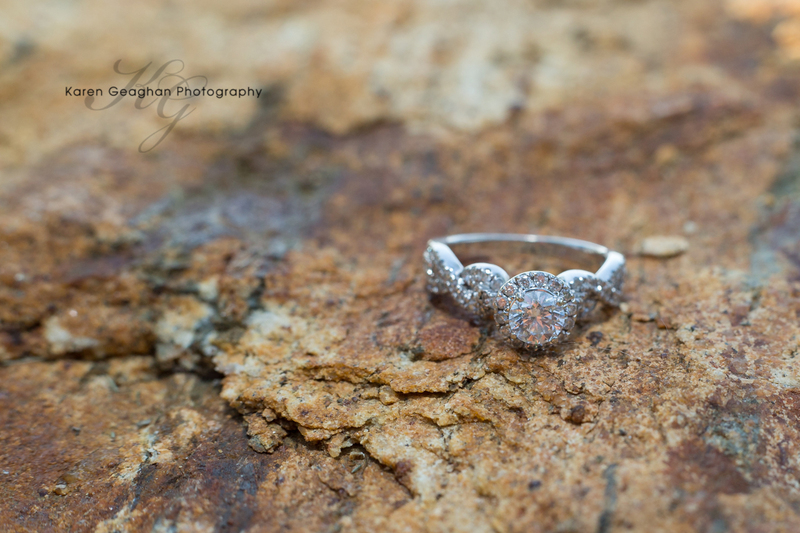 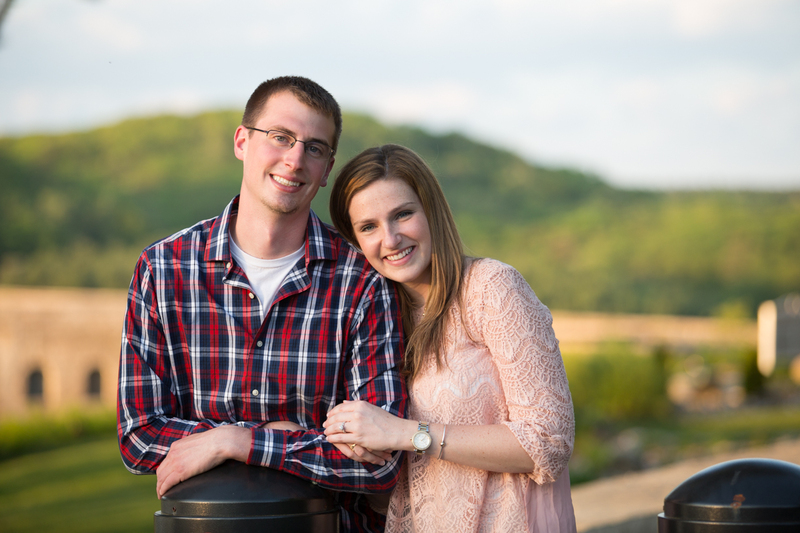 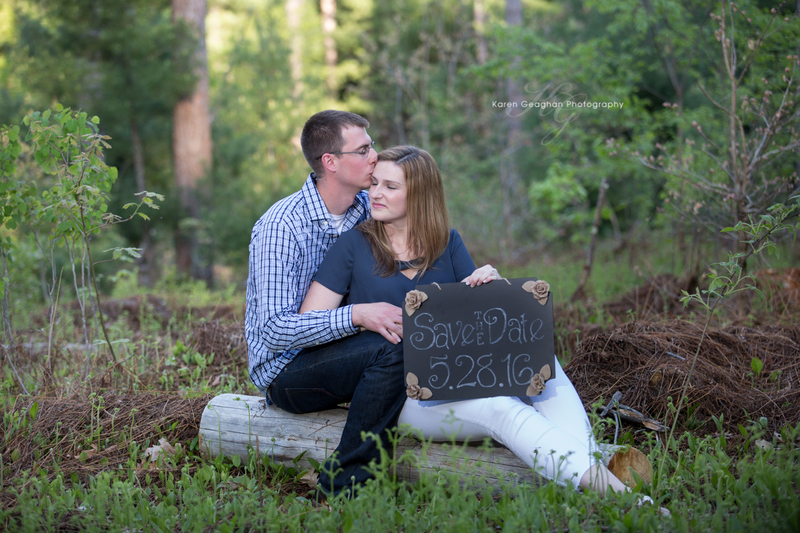 They love country music and the outdoors so it was an ideal choice of settings for their special images. 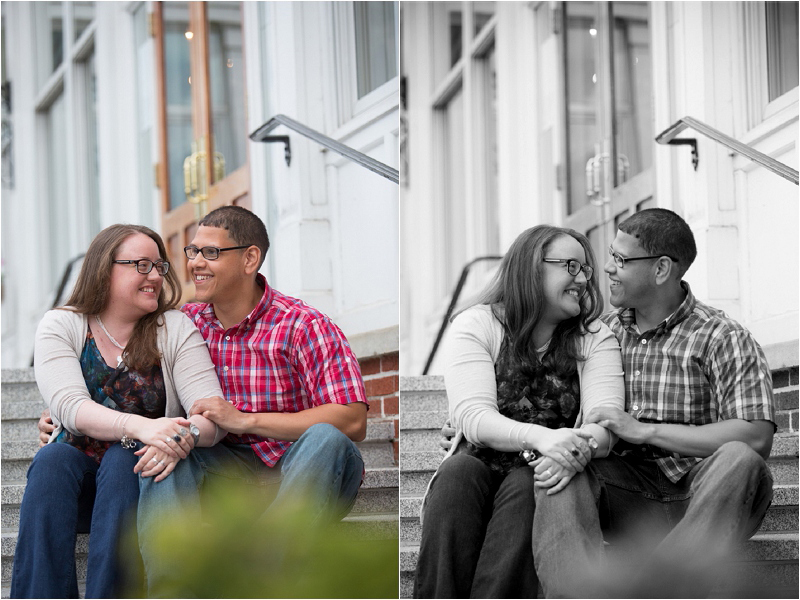 Andrea is a teacher so I put on my thinking cap to make these images geared towards that. 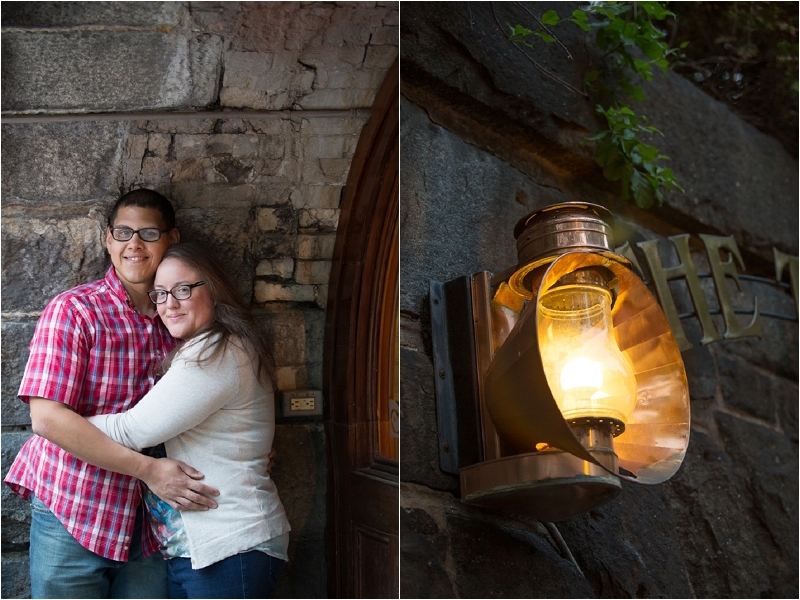 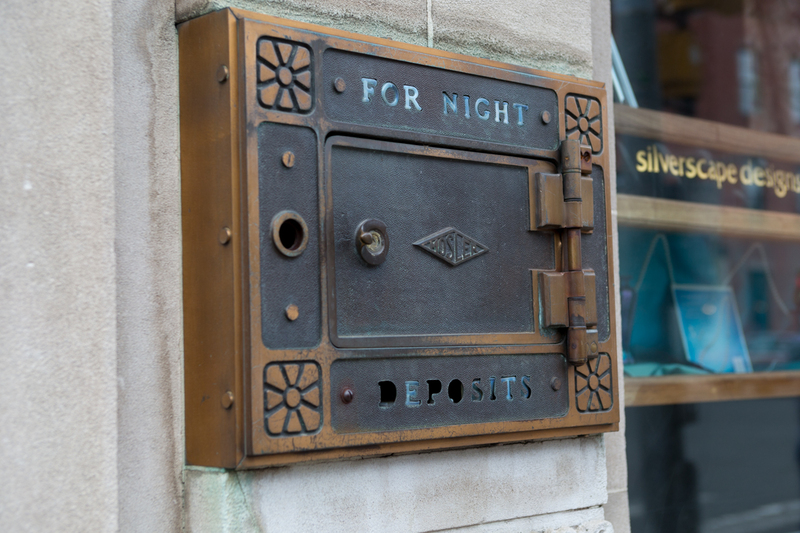 And Jeff, the ever creative partner, was able to pick up a few props which worked beautifully for their session.